In this fast pace life we have to be on our toes at all times and there are days we do not get enough time to groom ourselves properly and be at our best. Specially to meet deadlines and reach school or work on time, we tend to skip shampooing our hair and unfortunately have to go around with a bad hair day with limp, dull and greasy hair. For bad hair days or for days when you just do not have time for a shampoo, Dry Shampoo works best and can save ample time while giving the same result as a shampoo. Dry Shampoo is a fast and easy hack for unshampooed hair to give them a fresh and clean look. Dry Shampoo is basically a product containing alcohol and artificial agents that soak up excess oil and grease, giving a freshly washed look. Available in a spray form with a pleasant scent too, Dry Shampoo often includes chemical drying agents that harm the hair follicles and makes the hair rough and damaged with prolonged use. Is there a DIY All Natural Chemical Free Dry Shampoo? Dry Shampoos can leave the hair rough and damaged with continued use and are also not safe for the environment as well. Chemical ingredients are not safe for the hair, but there is an all natural chemical free variant of the Dry Shampoo that you can make at home, from ingredients that are available in your kitchen cabinet. This DIY All Natural Recipe has separate versions for blondes and brunettes and that makes it safe to use and is quite inexpensive and the best thing about it is that it has no chemicals in it, and gives even better results than store bought aerosol cans of Dry Shampoo. Grind half a cup of good quality oatmeal in a food processor till you get a fine powder consistency. Take it out into a mixing cup and add in the tablespoon of corn starch and combine well. Transfer this combination of oatmeal and corn starch into a mason jar and use whenever you want! A small wide mouth mason jar works best for this DIY Dry Shampoo as it is easy to scoop out. In a small mixing bowl combine the unsweetened cocoa powder (of good quality and brand) and corn starch well. Spoon it out into a wide mouth and small sized mason jar and use when needed, using a scoop spoon or a makeup brush. This DIY All Natural and Chemical Free DIY Dry Shampoo is a safe and effective recipe to get rid of greasy and limp hair and give it a fresh and washed feel without actually washing them. 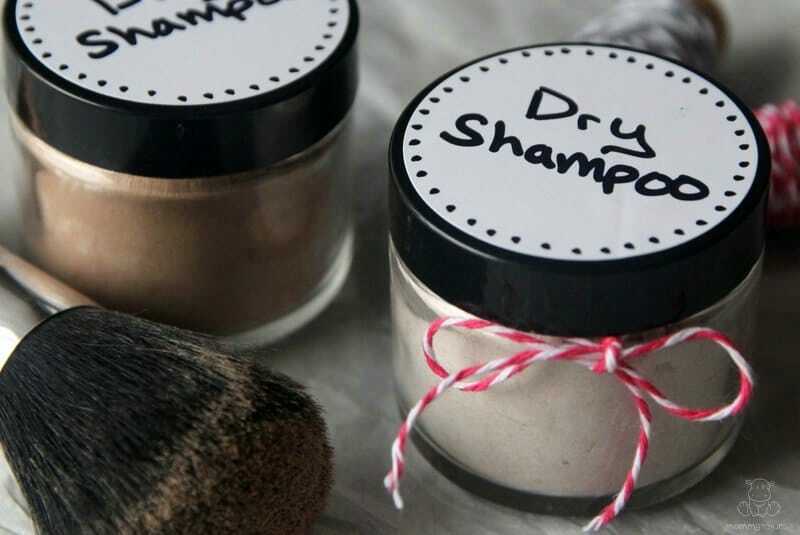 This DIY Dry Shampoo is a powder consistency, and the best way to use it is to apply it in the roots and rub it in using your fingers. You can use your fingers to sprinkle the DIY Dry Shampoo into your hair or a scoop spoon, and a fluffy makeup brush also works perfectly in touching your roots with this powder. You will have to rub in the DIY Dry Shampoo using your fingers, and top it all off with giving your hair a good shake. You have to make sure that no powder remains visible on the roots and the rubbing in has to be perfect. This DIY Dry Shampoo soaks up the grease and oil in your hair immediately and like a freshly cleaned carpet, leaves the hair clean and oil free.